Arched bridge at Kameido Tenjinja Shrine in Tokyo. 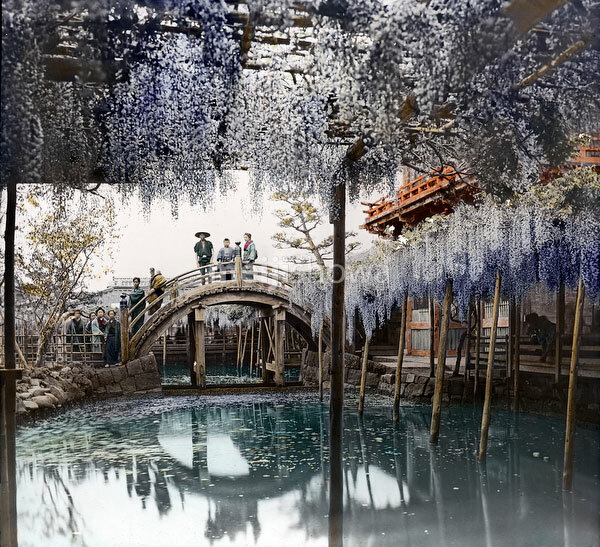 The Shinto shrine, famous for its bridge and Wisteria, is dedicated to poet scholar and statesman Sugawara no Michizane (845-903). It therefore attracts many students who pray here before their examinations.